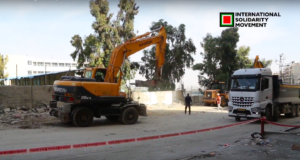 At 8am on Monday May 30, eight Israeli jeeps and two bulldozers destroyed two Bedouin “barracks” (shacks) in the village of Arab Abu Farda, south of Qalqilya. One of the barracks belonged to Abdul Qader and was home to 12 people and the other housed cows which belonged to his neighbor. 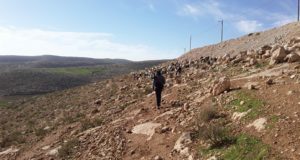 According to Abdul Qader, the Israeli army came without warning, gave the family no opportunity to take out their belongings, (not even anything for the children) and used unnecessary force and aggression with them. 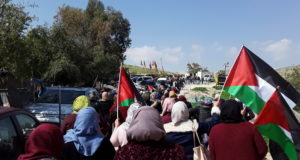 Arab Abu Farda is a small Bedouin village with approximately 75 inhabitants in the south of Qalqilya, but it is located on the other side of the separation barrier, which makes it isolated from the West Bank.